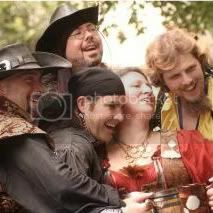 Grand Lake Renaissance Festival kicks off its Inaugural Season on April 4th! Hours of Operation: Saturday April 4th 10am - 6pm; Sunday April 5th 10am - 5pm. This sounds interesting! Is there a website link for more info? They have a very nice Facebook page, Rani. Looks like a lot of fun! I did manage to find it, and it really does look like it's going to be lots of fun! I wish we were free that weekend. Easter is a difficult time for us to get away, since we have family in from all over the country... but I will definitely be keeping up with the news for it, and will be looking forward to seeing how it gets on!